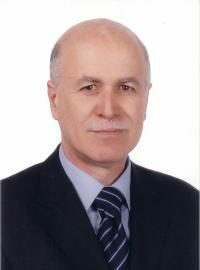 Abdul Menhem Alameddine is an Electrical Engineer. He obtained his BS and MS degrees from the University of Southwestern, Louisiana, Lafayette, LA (USA). He was President of the Order of Enginers and Architects in Tripoli, Lebanon 2005 – 2008, Vice President of the Federation of Lebanese Engineers 2005 – 2008, Member of the Higher Council of Urban Planning for Lebanon 2005 – 2008, Representative of Lebanon in the The Federation Of Arab Engineers – the permanent Bureau between 2005 and 2011. He has been a Lecturer for the University of Balamand in Lebanon since 1994, and is a member of the Senate at the University of Balamand since 2006, as well as a member of the planning committee of the University. Mr. Alameddine has been serving as a member of WFEO since 2005, and was Vice President of the Committee on Education in Engineering from 2009 to 2011. He has his own private Electrical Engineering Consulting Bureau in the City of Tripoli, Lebanon since 1988.